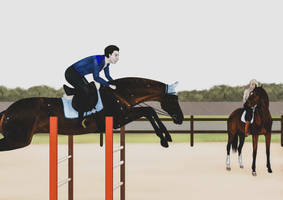 Crosby's Grand Prix Showjumping Clinic is a one-week advanced course for showjumpers looking to expand and deepen their knowledge about the sport. It's aimed towards both human and equine athletes who are competing on 5* level or plan to rise in the ranks. It's not a course for beginners! Internationally recognized trainers and successful riders give insight into their experiences and knowledge through daily workshops and lessons - both theoretical and practical. 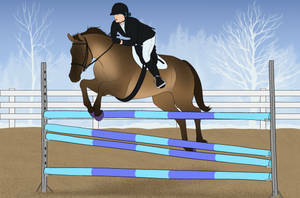 Ridden lessons are ndividually fitted to each rider's and horse's needs in small groups of 5 max. Horses are boarded in the guest tract of the stable, while riders can book either single or double rooms in two shared guest apartments (one kitchen per apartment, each room has a separate bathroom). The guest quarters are in the main building, but have their own separate entry. Three meals per day are included in the booking price. Peter Crosby, 54, owner of CS, retired showjumper-now-trainer. 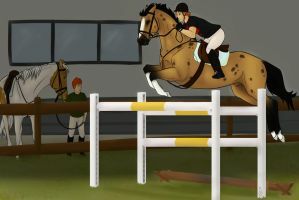 An introduction, followed by about an hour-long jumping lesson with medium-high obstacles to determine each rider's level. A solid foundation is absolutely necessary. 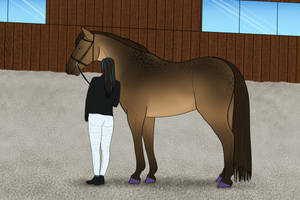 Every equestrian walks the course before the show - but what are we doing, really? A seminar on finding the right distances for different jumps. Tips and Tricks on clearing long and difficult courses. A workshop about how to keep the right rhythm throughout a course and how that is the very essence in getting through a course as smoothly and perfectly as possible. 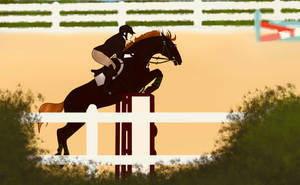 A showjumper shouldn't only be trained over jumps. Janet Hurst on why dressage is important for your horse and how you can apply that to your training. 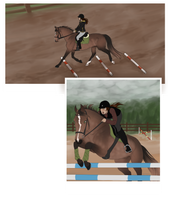 While the horses get to enjoy a well-deserved break from intense training, riders get a glimpse at their sport from a more theoretical, scientific point of view. 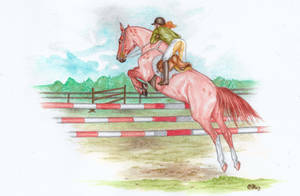 Having a controlled and attentive horse is key in showjumping. This workshop offers theoretical insight and practical exercises to help achieving that. 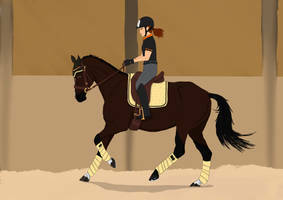 A lesson on how to keep your horse alert and powerful throughout combinations. 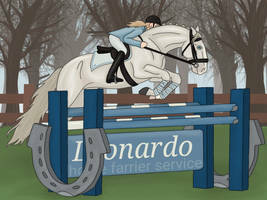 Mrs Thibodeau will share different approaches to planning and execution of this supreme discipline of showjumping. Tips and Tricks on clearing long and difficult courses - with a focus on double and triple combinations. Final round of the Course Jumping workshop. 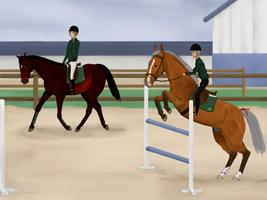 Each participant gets to jump an entire course on 5* level to finish the clinic. Crosby's GP Showjumping Clinic is open for everyone! It doesn't matter if you are a registered HARPG stable or an independent player. There is no registration, no qualification - just go ahead and draw your characters joining. Please add it to the HA-Champions-League gallery, so we all can admire it! 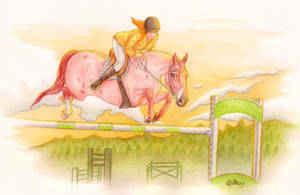 However, please keep in mind that, even though there is no formal registration or required experience, your horse and rider should at least be fit to jump those heights from a roleplaying point of view - else an expensive clinic wouldn't make that much sense. For roleplaying purposes, the clinic takes place in the first week of every second month, but you're welcome to enter at any time. Now here's the interesting stuff! A successful completion of the GP Jumping Clinic automatically qualifies participants to register for the HA-Champions-League. The catch is, "normal" qualification for the League requires at least three pictures - via the Clinic, you get the opportunity to qualify by only drawing two pictures. That way, you can get new characters into the competition much easier! 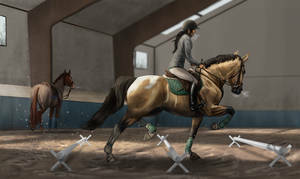 ONE picture showing your horse and rider during a workshop of your choice. These pictures have to be fullbody, fully coloured, and need to have a background. Extra pictures are not required, but encouraged! This is an excellent opportunity to socialize and roleplay with fellow entrants, why not make use of it? and the last one is here! Yes, it's open for anyone, and it's always open, no deadline. You don't have to use it for a HCL qualification, you can just use it for your own storyline as well! The second image. Whooh ^^ I'll be there! Have you any idea how long this will be open? 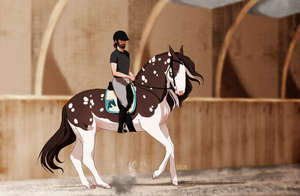 Since I have some horses I would love to ener, but they are still quite young and not on this level. Thank you so much in advance! And I'm terribly sorry if I didn't see it! 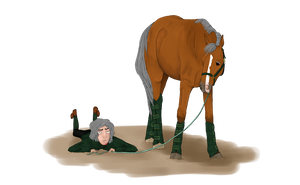 Please keep in mind, though, that from a roleplaying point-of-view, a one-week clinic is by far not enough to bring a young horse up to 5* level. It's not meant to replace years of training and experience! If you briefly mention in a story that said horse was trained and competed for years on this level and is now old enough and ready to tackle 160 cm courses, you need absolutely no previous art of them to enter the clinic! That's what it was created for - to have the possibility to create new characters and introduce them as grand prix jumpers, rather than having to rely on horses with tons of HARPG experience and a ton of previously drawn art. Alrighty! Thanks for the explanation! Thank you so much for entering this and your interest in the event! Otherwise I'm afraid it doesn't quite fit the standards of realism we want to keep up in this event I'm really sorry about that. To be fair, I've done a bit of research and consulted the other admins, but we have to insist on our rules. Regardless on how everybody just portrays them, Harlem Mules still posess donkey x horse blood, so they're basically mules, and mules of course have anatomical differences from horses. Of course my research can't have been super thorough on that matter, but I've looked at a number of pictures and I very clearly see the donkey influence in the length of the back and neck. I've found an article by a saddle maker writing about how saddles of horses and mules have to be different because of the way their spines are built and shaped. Jumping courses on 5* level is not possible with that kind of anatomy - there is a reason why we only see warmbloods specifically bred for these performances in RL high level showjumping. That doesn't mean you aren't allowed to play the HARPG like you want it to play, that's not what I mean. But, sadly we have created the HCL after a real life competition with the same standards of realism in mind and many, if not a majority of players play it on those standards, so I don't see it fitting. Even with a change in height. I know I'm the total party pooper here, and you must think "what a bunch of nitpickers" - I'm sorry for that. But many people prefer and actually like to have a widely realistic show among the "everything's possible" landscape of the HARPG for once, and that's why we added all those rules. I really hope you understand that. Oh mules are definitely amazing! I've watched a lot of videos to familiarize myself with jumping mules and the way they move and behave over a jump. 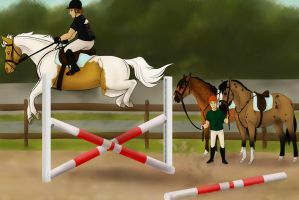 It's just the level that doesn't fit - leaping 5-6 feet from a standstill is definitely impressive but if a Grand Prix oxer is both 5 feet high AND 5 feet wide you have to go full throttle at it, and be able to utilise your entire back and body. Likewise, cantering crosses or even doing competitive training level/first level dressage like Laura does with her mules at national finals is a wonderful success - but doesn't compare to the top of the sport. Other than the stable map, nothing official! There have been beautiful renderings of the indoor by other participants of the clinic, if you want you could draw inspiration from how they interpreted it -- but you're free to come up with whatever fits your idea best! REGISTRATION FOR THE 2019 SEASON IS OPEN UNTIL FEBRUARY 28TH! The HARPG Champions League is an ongoing team contest set in the world of the Horse Art Role Play Game. It offers riders the chance to compete in top-level showjumping events in stunning venues all over the globe - and on top of that, collect points for their respective teams while they travel around. The higher a rider places, the more points they are snatching for their team. The HARPG Champions League culminates in its final show in November, where the teams battle each other to decide which team is going to take the overall win home! Welcome to the first show in the 2019 season of the HARPG Champions League! The cards are shuffled anew, 5 new teams have been added to the roster - clearly, this year promises another season full of top-level showjumping. What better place to start off such a high-class event than in Vienna, Austria - a city associated with culture, music, gastronomic specialities, theater and of course, the dancing horses of the Spanish Riding School. The HCL has set up its tent in no other place than at the gates of Schloss Schönbrunn, one of the most significant and well-frequented cultural monuments in the country. 12 teams will be competing in front of this gorgeous backdrop at the end of April, and the whole world will be watching - which team is going to come out of this first leg with a headstart? The last spot is filled. Due to entrants having to leave the event, we are now left with one spot that's open to the public! Weather you were doubtful or weren't in time, now's your chance to join! Please note that this will conducted on first-come-first-serve basis. Everybody whom we don't have a free spot for at the moment will be placed on the waiting list and contacted, should we end up with vacancies again this season! This is an effort show. A rough rubric for will be included below but will largely be based on the individual's gallery. All breeds are welcome to enter, including fantasy breeds, however we ask that they refrain from using their unnatural powers should they have them. All art must be made for this show - no reusing images that weren't judged, please! Blue Ram 2018. Event- Four's a party : closed! Welcome to the fourth annual HARPG event of the Blue Ram series. The show has been hosted since the creation of the OakLands Stables & Equestrian Center back in 2015, and hopefully it will continue! This year, as before, we have a special sponsor and guest host: Falconrise Castle , as well as our special duo! Please do not submit more Entries! They will not count from now on. Extras may be added until tonight CET, when the points will be counted for Judging. Due to the addition of commentry in "Freestyle" and "Grand Prix" class, the results may take a couple longer, but the lower classes will have a constantly updated Results journal as they roll in. See you at the Winter ball! 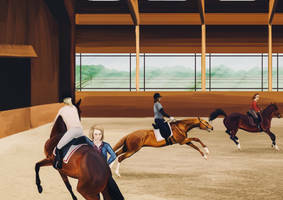 from near and far to join our Winter Dressage Show! on three different stages from Novice to Grand Prix. to attend the Winter Ball on the last day of the event. Restrictions: Realistic - semi realistic. Some fantasy factors are ok but for most part look the horse must look "natural" (ie no wings, fangs, horns etc), please ask if unsure. As from now, all information will be posted at our group! Also, WEG Qualification Process added to the front page. Rest is still under construction, but we wanted to upload it as soon as possible so people are able to prepare. TerracottaVulture , huddoux and I currently plan to hold this year's HARPG World Equestrian Games and continue running this as an annual event. 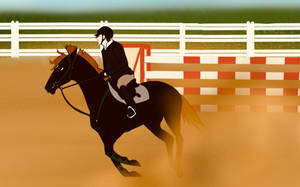 You can compete in Show Jumping, Dressage, Eventing, Driving, Endurance and Western Reining. y, extras, etc. ), but you also have the opportunity for RP and Storytelling, connecting with others or just enjoy beautiful entries and other's stories! As you might have figured, this will take place in the beautifull city of Hamburg, but when it gets into the state of an annual running event hosting locations will change! Atm, planned starting date is September/August 2019. But we also need your help as sponsors and/or judges. The show will start on the first of each month, and entries for that month will be accepted through the last day. The results will be run and posted within the week of the following month. We've put up a variety of classes, but if you'd like to see something different, just let us know. The race(s) will be changed monthly, and will feature several real events in the racing world! FINAL EXTENSION!!! Since I won't be able to start judging till this weekend, late entries will be accepted if they are handed in before next saturday (13th of May)! 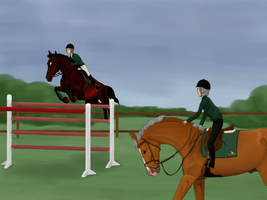 Welcome to SlightlyMad's second Annual All-Showjumping Show! A year after the start of the 2016 edition, we are happy to welcome you all back to our stables! Horses of all showjumping levels can enter, as this show ranges from Maiden classes to 2m Puissance! This year, the All-Showjumping show will be followed by a show featuring a different discipline, which is why it will last for 2 months instead of 5. This year the show will be all about bringing back the old HARPG feeling and giving every participant an equal chance on a placing! So put on your swimwear and come join the fun! "So, staff, here we go again! (Just like in Abba's song). We are in charge of preparing a show. I should say this is going to be exciting but we all know it's a lot of work so people, buckle up! I listed the classes and rules underneath in the attachements. Have fun! Pauline x"
Welcome all to my Second show held at heartsong estate, this time it will be themed for summer, so get out your sunscreen and bathing suits, as were starting off summer with a blast! 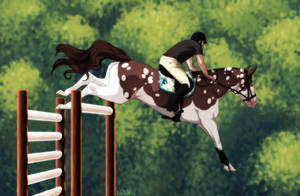 This event will be available for all horses and people, magical or not, as long as you have fun! WELCOME TO HEARTSONG ESTATE'S GRAND OPENING EVENT! 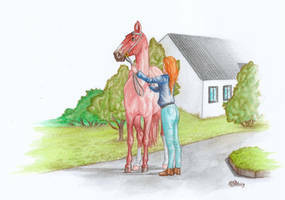 This event is for all types of horses, small, big, magical and much more! i will be making regular updates to the information as i want it to be as informational as it can be. The eyes of the world are focused on Spruce Meadows as the best athletes from the world's top show jumping nations compete for prize money and international acclaim during the Spruce Meadows 'Masters'. Pheasant Ridge's Spring ShowSpring in Nova Scotia brings fresh green leaves, apple blossoms and life to the winter weary. Welcome to Pheasant Ridge's first Spring Show. Located in the beautiful Annapolis Valley in Nova Scotia we hope to showcase some of the local beauty of the area to the world. This is an effort based show. Effort will be judged against your gallery. This means anyone of any skill level has a shot, as long as prompts are followed and effort is shown! All breeds are welcome, including fantasy breeds. Please refrain from using magical powers however. Come join us in Switzerland to embrace the wintertimes! All references must be credited! You may trace/use grid reference - NO premade lineart allowed. Photo backgrounds are NOT allowed. You may use textures if credited. One image per entry - collages allowed ONLY for 3DE. There is no pre-registration or numbers for competitors. You can only do cross-country if you enter the 3DE. “Congenital Heart Defects” (CHD) are anomalies in the structure of the heart that are present at birth. These anomalies can include missing or malformed structures. 1 out of every 100 babies born has some type of CHD. 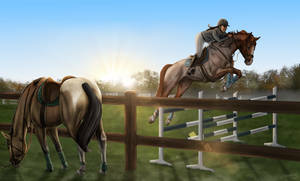 Crosby's Grand Prix Showjumping ClinicWelcome to Crosby Stables!